Home › Alumni › Alumni Testimonials › Alumni Spotlight #3: Malique Carr, Ph.D. 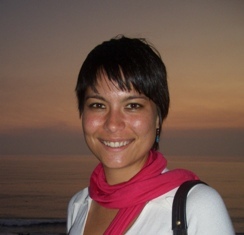 The Society of Clinical Psychology’s Education & Training Committee presented the 2009 recipient of the Distinguished Student Service Award in Clinical Psychology to Ms. Malique Lina Carr of the Pacific Graduate School of Psychology. The Distinguished Student Service Award in Clinical Psychology honors a graduate student in clinical psychology who has engaged in outstanding service contributions to the profession and community. Dr. Carr graduated with honors from Palo Alto University in 2010.